The Queen of England has welcomed the Scottish referendum results from her castle in Balmoral, and Scotland’s First Minister, Alex Salmond, has resigned. Violent clashes have already occured on the streets between Unionists and Nationalists. London media organs, such as the Daily Telegraph, the Daily Mail and the Daily Express have been refused entry to Yes Campaign press conferences, video evidence of vote rigging is being posted on You Tube, and London politicians are already back tracking on promises made. By all accounts, Scottish Independence, while defeated at the polls, is a story that’s far from over. But where to for Scotland’s independence movement? The Scottish Nationalist Party, the largest party in Scotland’s devolved national assembly, had orignally asked London for a referendum on what it called Maximum Devolution (popularly called Devo Max). At present, the Scottish Assembly has control over only 7% of Scotland’s national revenue. Devo Max would have transferred almost 100% of revenues to Hollyrood (the seat of Scotland’s assembly). Devo Max was almost certain to win any referendum, so British Prime Minister, David Cameron, decided on an all or nothing gamble. The referendum would be on full Scottish independence, or nothing. On the surface, this looks to have been a good call on Cameron’s part, however, in the final weeks of the campaign, with the Yes side pushing ahead in the polls, the London establishment lost its nerve. In the second week of September, the Conservatives, Labour and the Liberal Democrats agreed to suspend Prime Minister’s Question Time in the House of Commons, and the three party leaders travelled to Scotland to, in effect, promise the Scottish people to legislate for Devo Max, if they rejected Scottish Independence. This was actually an illegal move, as postal ballots had already been caste, and they were effectively changing the terms of the referendum (but, when has the British ruling elite ever regarded the law as applying to them?). In the end, 55% of voters rejected full independence and 45% voted for. Hardly a resounding endorsement of the Union, and hardly a disaster for a Nationalist movement, which had never really felt itself ready for this outing. Even without changing their strategy and tactics in any way, the Nationalists can look on this as a battle that has brought them considerable advantage. They had originally asked for Devo Max, and now it has been promised to them. If they get it, they can use Devo Max to further loosen London control on Scottish life, and normalize the idea of independence among the doubters. If London defaults on the promises it made in the final days of the referendum campaign (as Cameron has already indicated he intends to do), then it opens a collossal gulf of trust with not only the ordinary Yes voter, but with many of those who voted to continue London rule. In effect, the Nationalists stand to gain in either scenario. Quite apart from these short term considerations, the Nationalist cause won a significent victory when this referendum became the first UK referendum where sixteen year olds were given the vote. The results have shown that Scotland’s youths have overwelmingly backed independence, while the highest No vote was among old aged pensioners. Time is on the Nationalist side. However, it does seem to me that Nationalist Scotland cannot continue with its current strategies and tactics. This was made immediately clear by the fact that the media in Scotland, almost 100% owned by London corporations, put its full weight behind the No Campaign. BBC Scotland, supposedly Scotland’s national broadcaster, behaved in a shamelessly partisan fashion from beginning to end – to the point where many Scottish people are now calling for the BBC to be removed from its position as national broadcaster in Scotland. It’s clear that Nationalist Scotland is going to have to take control of its national media, as Nationalist Ireland managed to do in the late 19th century. Of course, that’s not so easy to do today, with media corporations having become transnational and all complying with a Globalist agenda, but Scotland will not become an independent, sovereign, state while its national discourse is controlled and directed by outside forces. Then there is the even biggest question of the SNP’s ability to lead a true Scottish independence movement in the 21st century. The SNP is a bourgeois democratic nationalist party. Its essential gaol is to place the Scottish economy under the control of a Scottish national bourgeoisie. We should not dismiss the SNP for this, since this has been the structure of independence movements all over the colonized world, except in those cases where Communist Parties gained leadership of the national movements. However, the SNP position has revealed severe contradictions, which have lost support for Scotland’s independence movement as a whole. It is remarkable that four of Scotland’s poorest districts returned the highest No votes to Scottish independence. There are various historical reasons for this result, including the fact that they are traditional Labour strongholds, and Labour has campaigned frantically against Scottish independence – knowing that it will never win a Westminster election again without its reserve army of Scottish voters. But, Labour would not be able convince the poorest people in Scotland that they are better off under London rule – mostly Tory rule – if those people themselves did not suspect that Scottish freedom would actually be the freedom of the Scottish bourgeoisie to really crack the whip across their backs. It is also remarkable that some of the SNP’s electoral heartlands returned No majorities. What does this mean? That middle class Scots really just want to have their cake and eat it? Over the course of the referendum debate, it was clear that all sides wanted to limit the debate to pounds and pence. London was keen to avoid any debate at all on the UK’s political culture – a debate that, God forbid, might even spread to England herself once started – and the SNP was careful to present independence as something that could be of no discomfort whatsoever to Scottish Unionists. They would keep their monarch, their pound, their bourgeois economic system, and even stay in NATO. In effect, Nationalists sought to convince Unionists that nothing would change for them, except that they might gain a few extra pounds in their pockets. 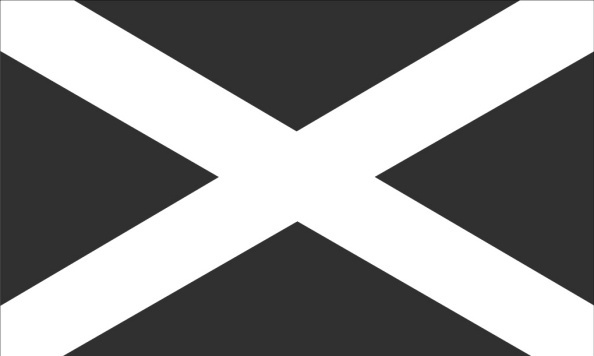 Scotland would become an independent state, while remaining within the cultural continuum of the United Kingdom. Sadly for the SNP, you can’t convince a Scottish Unionist that old wineskins will hold new wine. It seems that the SNP feels it can’t afford to confront the necessity of cultural revolution, since the peaceful functioning of Scottish political life is thought to be predicated on keeping culture, like religion, a strictly private matter. We in Ireland have also largely backed away from the necessity of cultural revolution, and for much the same reason (along with the general intellectual laziness and apathy that has overwhelmed us in recent times). The result has been the idea that we can avoid what’s difficult (and potentially bloody), and frame the nation and national sovereignty in terms that we are all assumed to adhere to as the very basis of our being as modern democratic subjects, i.e. consumer choice. The Scottish referendum was essentially framed as an exercise in consumer choice, as would any referendum on Irish Unity conducted under the terms of the so called Good Friday Agreement. In effect, the SNP, and our Irish Constitutional Nationalists, by avoiding cultural revolution, present national sovereignty as a mere consumer commodity – by its very nature alienable, and by its functioning alienating – since we recieve it as a ready made sign of our barring from the means to create a new world. In short, we cling to the dead culture of the commodity, because we fear the living culture of nations. Loyalists in an apparent Nazi salute. Compared to the essays on the Scottish independence campaign that I read in mainstream media, this is the clearest analysis I have seen so far, and I learned a lot from reading this, and I agree with what you outlined as a way forward. Many thanks. I’ve just read a report that ten thousand Scots have applied to join the Scottish Nationalist Party in the last two days – they are getting 500 enquiries an hour – I don’t think anything like that has happened since the English executed the leaders of the 1916 Rising in Dublin. Social media is being flooded with young Scots expressing their regret and apologising for having allowed themselves to be blackmailed by the media into voting No.